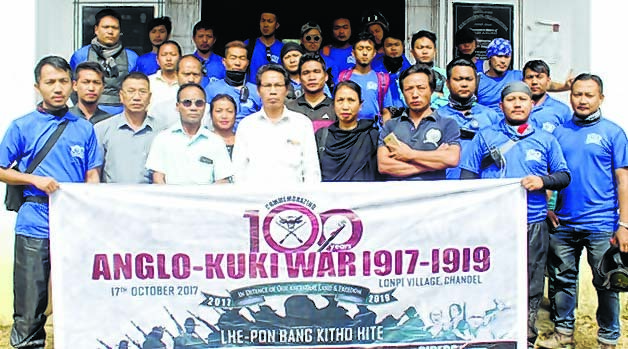 Kangpokpi, October 13 2017: Kukis across the world is all set to observe the 100th year of the Anglo-Kuki War 1917-1919 on October 17 . 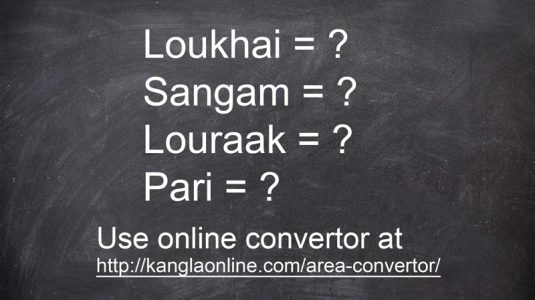 In Manipur, the commemoration of 100 years of the Anglo-Kuki War will be celebrated at Lonpi village in Chandel district with Chief Minister N Biren Singh as chief guest, Water Resources Minister Letpao Haokip as president and Social Welfare Minister Nemcha Kipgen, Education Minister, Radheshyam and ADC Chandel Chairman Lhukhosei Zou as guests of honour. It was a full-scale war fought bravely and consistently by the Kukis for three consecutive years and prominent Kuki chiefs were charged with war crimes and thus exiled to Sadiya in Upper Assam . The impact of the military operations from December 1917 to May 1919 resulted in in the destruction of 140 villages, submission of 112 rebel villages and 15 villages were found to be deserted while it has been said that the casualties of the British read as 59 men killed, 135 wounded and 97 dead from other causes, primarily diseases . It is also said that in Manipur, 970 muskets were confiscated whilst in the south Chin Hills over 600 were handed in apart from confiscating large amounts of grain and cattle . The number of Kukis killed had has estimated at 126 men, but without a doubt others died of wounds away from the scenes of action, especially when the new British weapons came into use . The centenary commemoration will be organized by the Anglo-Kuki War 1917-1919 Centenary Celebration Committee for which hectic preparation is underway . In connection with the celebration, Paotinthang Lupheng, president KSO-GHQs said that it is “every bit our intention to commemorate the historic event in the best possible way as the historic War took nearly three years to finally end” while adding that commemoration of the war from this year will go on till 2019 . He continued that the Kuki people in the North Eastern States and also in cities across the country and other parts of the world will simultaneously observe commemoration functions on October 17 . “The Anglo-Kuki War 1917-19 holds a very unique place in British colonial history. It is unique in the sense that the war was the longest and most protracted military confrontation against British imperialism in defence of freedom and land”, Lupheng added . He further said October 17 and Lonpi village has been symbolically chosen for the commemoration as a full scale war broke out between the mighty British troops and the Kuki chiefs on October 17, 1917 when the British troops attacked Lonpi village and ravaged it to the ground even if the preparation for war started in early part of March 1917 . Meanwhile, as part of its Tour De Lonpi, a pre commemoration ride to multiply the awareness of the momentous celebration, Eimi Riders Manipur, a non-profit Royal Enfield Club reached Kangpokpi district today where leaders of all the civil society organizations gave a hearty welcome at KSO Sadar Hills Administrative office building at Kangpokpi DHQs . “Tour de Lonpi” is an initiative of Eimi Riders Manipur in partnership with Anglo-Kuki War Centenary Commemoration Committee to commemorate 100 years of Anglo-Kuki War. The Eimi Riders Manipur reached Taphou Kuki village where a grand feast was served to promote their initiative by Taphou Kuki denizens.